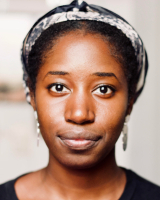 Victoria Adukwei Bulley is a poet, writer and filmmaker whose work has appeared widely in journals including The Poetry Review, in addition to BBC Radio 4 Woman’s Hour. She is an Eric Gregory Award winner, and has held artist residencies in London, the USA and Brazil. Victoria is the director of MOTHER TONGUES, a poetry, film and translation project supported by Arts Council England and Autograph. Rachael Allen is the co-author of Jolene, a collaborative book of poems and photographs with Guy Gormley, and Nights of Poor Sleep, a book of paintings and poems with Marie Jacotey. Her first collection, Kingdomland, is published by Faber & Faber in 2019. She is the recipient of a Northern Writers Award and an Eric Gregory Award. She is the poetry editor for Granta, co-editor at the poetry press clinic and online journal tender. 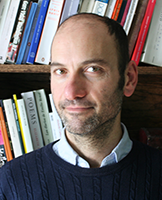 Leo Boix is a Latino British poet, translator and journalist based in the UK. 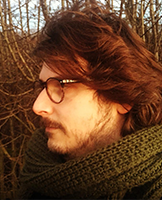 He has published two collections in Spanish, Un lugar propio (2015) and Mar de noche (2017), and was included in many anthologies, such as Ten: Poets of the New Generation (Bloodaxe) and Why Poetry? (Verve Poetry Press). His English poems have appeared in Poetry, The Poetry Review, Modern Poetry in Translation, PNReview, The Rialto, Litro, Magma, Brittle Star, Letras Libres, South Bank Poetry, The Morning Star, The Laurel Review and elsewhere. Boix is a fellow of The Complete Works Program and co-director of ‘Invisible Presence’, a scheme to nurture new young voices of Latino poets in the UK. 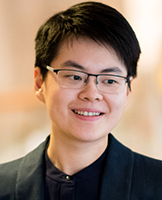 Mary Jean Chan is a poet, editor and academic from Hong Kong. She was shortlisted for the 2017 Forward Prize for Best Single Poem, and came Second in the 2017 National Poetry Competition. 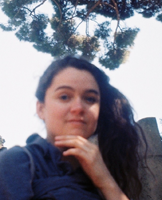 Her debut pamphlet, A Hurry of English, is published by Ignition Press, and was recently selected as the 2018 Poetry Book Society Summer Pamphlet Choice. Mary Jean is a Ledbury Poetry Critic and an editor of Oxford Poetry. Her debut collection will be published by Faber & Faber in July 2019. She is a Lecturer in Creative Writing (Poetry) at Oxford Brookes University, and currently lives in London. 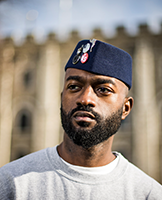 Tice Cin is a poet and writer from Tottenham, North London. Her work has been published in Skin Deep Magazine and commissioned by venues including St Paul’s Cathedral and Battersea Arts Centre. An alumnus of the poetry community Barbican Young Poets, she recently took part in the Barbican’s Art of Change series and is part of the centre’s Design Yourself collective. She is also a Literary Fiction awardee of Spread The Word’s London Writers Awards. A consultant with community project New Muslim Stories, she is passionate about helping marginalised voices reach their potential. Currently, she's creating poetic sound portraits with composer Pietro Bardini highlighting the sonic beauty of linguistic and dialectical crossings. Sasha Dugdale is a poet, translator and editor. She has published four collections of poetry, most recently Joy (Carcanet, 2017) which was a PBS Choice. Joy’s title poem was recipient of the Forward Prize for Best Single Poem in 2016. In the same year Sasha Dugdale received a Cholmondeley Award for her poetry. 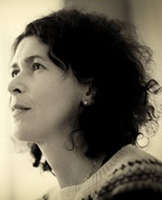 She has translated many Russian contemporary women poets, including Elena Shvarts, whose collection Birdsong on the Seabed (Bloodaxe, 2011), was a PBS Recommended Translation and shortlisted for the Popescu Prize. 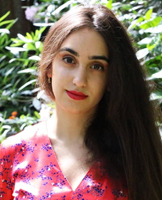 She is currently translating the poems of Maria Stepanova for publication in 2019. She also translates plays, most recently Bad Roads by Natalia Vorozhbyt, produced by the Royal Court in 2017. She was editor of Modern Poetry in Translation 2012-2017 and co-editor of the international anthology Centres of Cataclysm (Bloodaxe, 2016). Alice Kate Mullen is Manager of the Poetry Book Society. She read English Literature at Durham University. 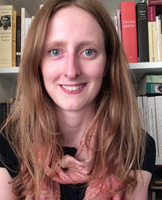 She has worked in poetry publishing since 2010 and was Marketing and Events Manager for Carcanet Press, Anvil and PN Review. She previously worked in bookselling and events co-ordinating at Waterstones and Shakespeare & Company, Paris, completed an Arts Council mentorship at Chicago’s Poetry Foundation in 2013 and was an Assistant Bibliotherapist at Sydney Writers’ Festival in 2016. In 2017 she co-founded the now annual Northern Poetry Symposium, a major state of the nation poetry summit at Sage, Gateshead. 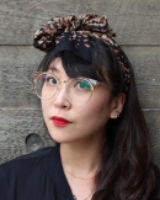 Sarah Shin is a publisher and curator. She is a co-founder and director of Silver Press, a feminist publisher of books including Your Silence Will Not Protect You, a collection of Audre Lorde's poetry, speeches and essays, and Ignota Books, an innovative press at the intersection of technology, myth-making and magic that launched with Spells: 21st-Century Occult Poetry co-edited by Sarah Shin and Rebecca Tamás. She is the creator of New Suns: A Feminist Literary Festival, a bookfair and day of talks, screenings and workshops through the lens of mythology, held at the Barbican Centre in its inaugural year in 2018. She works at Verso Books. Francisco Vilhena is assistant editor at Granta magazine. He writes short essays and translates from the Portuguese; his work can be found in Modern Poetry in Translation, clinic, Wasafiri, Brooklyn Rail, Granta and elsewhere. He has served as bridge translator on several PTC translation workshops. His cat is one of the first feline polyglots.